Ondřej Mucha studied at Conservatoire of Evangelic Academy in Kroměříž, organs in MgA. Karel Hiner class and cembalo in MgA. Ilona Růčková class. He has extended his special education in International master interpretation course at JAMU in Brno under the tutelage of Prof. Kamila Klugarová. Next he studied the Precentorship of church music at University in Hradec Králové in doc. Dr. František Vaníček’s, Ph.D. class and the Organs playing at VŠMU in Bratislava in doc. Imrich Szabó, ArtD. class. Ondřej Mucha pursues a concert activity. Next to regular organ concerts in the Czech Republic even abroad (Slovakia, Poland, Austria, Spain, etc.) he introduced himself also at several international organ festivals. Next to the concert activity Ondřej Mucha pursues church music. 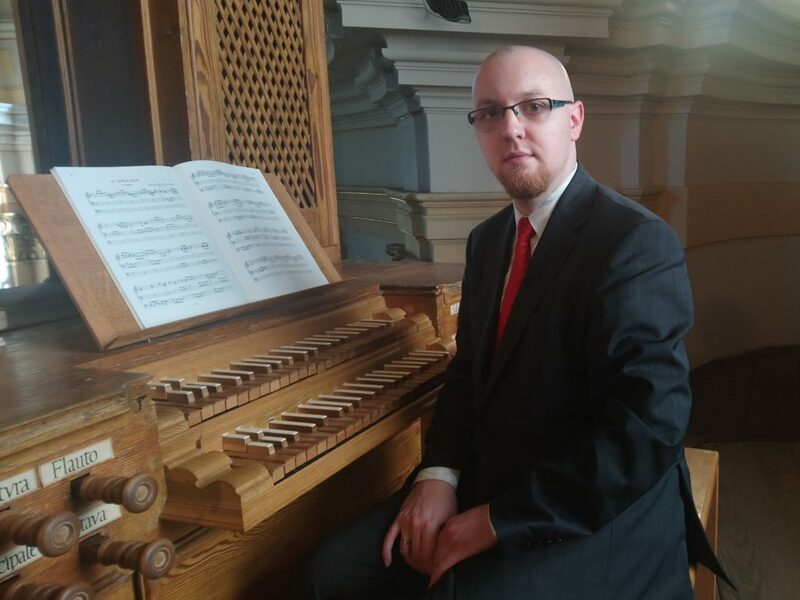 He works as an organist in the monastic church of St. Jan Nepomucký in Prostějov where he has set a cycle of organ concerts. In the field of church music he pursues also the composing, mainly choir compositions. Last but not least Ondřej Mucha pursues also a pedagogical activity, teaches organs playing, organ improvisation, and piano playing. In 2012 Ondřej Mucha has been awarded for an excellent pedagogical tutelage in the field of Organ pedagogy within the organ competition ORGANUM REGIUM Pardubice.